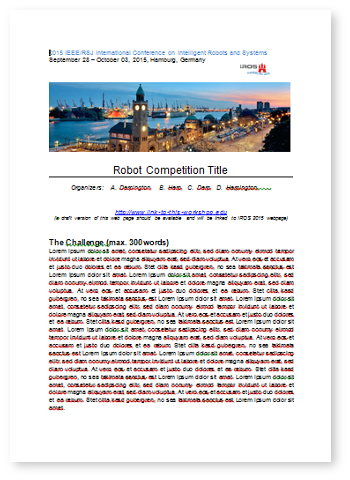 As with previous IROS conferences, the organizers intend to arrange an Robot Competitions to be held prior to the conference. Proposals for competitions are welcome. Please use this template and mail it to by March 31, 2015. The date for notification of acceptance is May 1, 2015.